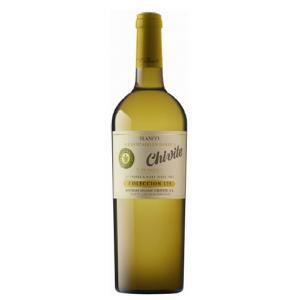 Bodegas Chivite produces the Chivite Colección 125 Fermentado en Barrica 2006 (£53.86), a white wine from Navarra that is based on 2006 chardonnay and presents an alcohol content of 13%. 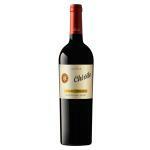 The Chivite Colección 125 Fermentado en Barrica 2006 is the ideal white to combine with white meat and fish. Uvinum users rate this white wine with 4,3 out of 5 points. Chivite Colección 125 Blanco 2006 is a complex and elegant wine fermented in oak barrels with a great evolution in the bottle. One of the great white wines of Spain. - Palate: Ample, offers notes of toast and spice. Excellent white fermented in barrel. Spaniards do not know too many chardonnays, but this love. - View: Chivite Colección 125 Blanco 2006 has a gold green color. - Nose: intense aroma of fresh hazelnut, sweet almond. Notes of melon, mango. Complex. Wine fermented in French oak barrels. The wine remained on the lees and batonnage performed until bottling. Medium intensity. Pale greenish yellow. Bright. Intense and complex. Smoked, bread crust, citrus white flowers, acacia, verbena. Fresh attack. Evolution tasty. Lingering finish on menthol notes. Gold color with greenish yellow. Intense and complex, with notes of fresh hazelnut, sweet almond, melon and mango. Powerful, fresh and long. The wine was fine, but we paired it wrongly. I drank with my best friend. The typical colour of white. Fresh lemon and apple aromas. The taste was a bit salty, I was greatly surprised. - View: pale gold, green hues. 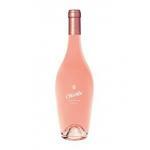 - Nose: complex, intense, fruity aromas, melon, mango and almonds. 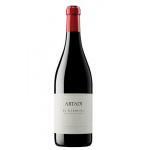 - Nose: complex, intense, fruity aromas, melon, mango, almonds. 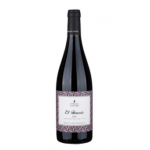 If you want to buy Chivite Colección 125 Fermentado en Barrica 2006, at Uvinum you will find the best prices for Navarra white wine. Buy it at Uvinum, via your computer or your mobile device. We offer more than 59.000 products for sale which turns us into the leading marketplace in selling wine, beer, and spirits in Europe thanks to more than 38.000 customers enjoying Uvinum.